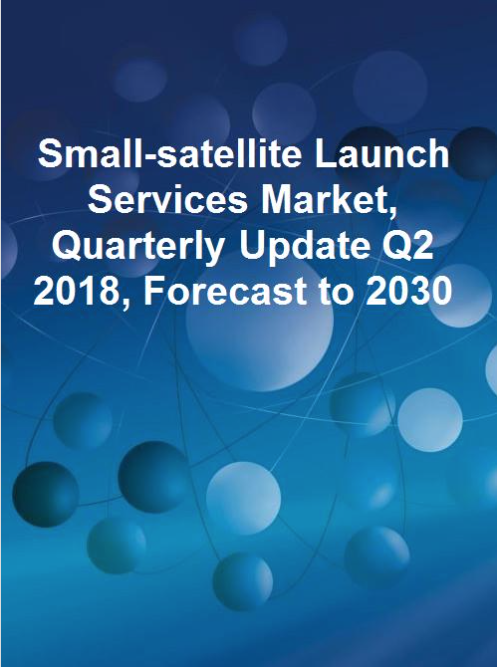 Small-satellite Launch Services Market, Quarterly Update Q2 2018, Forecast to 2030 is a new study that forecasts small-satellite launch demand based on operators' maturity, mass classes, and user segments. This report also details the projected small satellite launch capacity supply and analyzes the alignment of launch demand and supply for multiple forecast scenarios. The study includes the new developments in the small satellite value chain for Q1 2018. Small satellites are at the spotlight of the evolution of space industry. Additionally, the small-satellite ecosystem is expanding at an accelerated pace with new entrants offering innovative new space solutions and existing players expanding their portfolio by investments in the small-satellite value chain. Because of this it becomes very important to investigate the past and current state of the small satellite market, and forecast the future scenarios. Many small satellite constellation operators have advanced in their development processes and will generate continuous and recurring launch demand for their constellation installation and replacement missions. At present, nearly all small satellites use the rideshare capacity as a secondary payload on the existing launch vehicles. This makes their project schedule and mission requirements dependent on the primary payload. Also, the existing rideshare capacity will not be sufficient to address the small satellite launch demand in the future. Many incumbent and new players have sensed the upcoming small satellite demand and have started planning for providing dedicated services and launch flexibility to the small satellite operators in order to capture the future small satellite launch market.